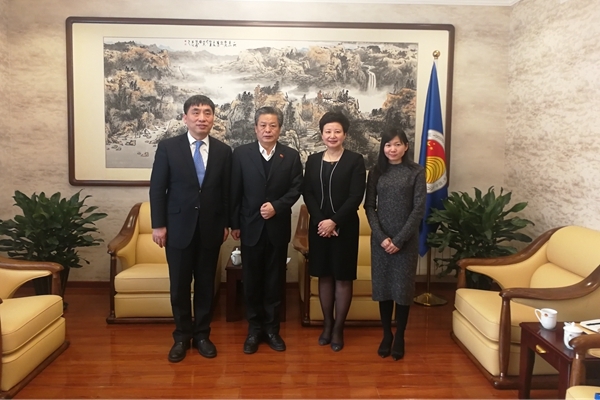 On 29 January 2019, ACC Secretary-General Chen Dehai met with Ms. Xia Minhui, General Manager of Minzu Hotel and the delegation. They exchanged views on preparing 2019 ASEAN Gourmet Festival, enhancing exchanges and cooperation in culture and tourism between ASEAN and China. Ms. Kong Roatlomang, Director of Education, Culture and Tourism Division of ACC attended the meeting.